Walkers, cyclists, and selfie-takers love the very Instagram-friendly Lightpath along Nelson St in the CBD. It’s a vibrant pink off-road path with interactive lights running along its length. A perfect place for an urban stroll in the sun and a picture of you & yours. Total cost: $0. Orewa is a small suburb north of Auckland popular with retirees. It has arguably one of the best beaches in Auckland, and is surrounded with ice-cream parlours. Strolling along the sand with a piled-up cone is an Orewa tradition (bonus Kiwi points if it’s hokey-pokey). Try The Scoop for delicious gelato and truly insane freakshakes. Total cost: circa $5 for the ice-cream. You’ve probably seen Onzo bikes and Lime scooters everywhere by now. They’re a great cheap option for a leisurely ride around the inner suburbs. Onzo bikes cost $1/hr to hire; and Lime scooters are pricier at $1 to unlock then 30c per minute ($18 per hour). 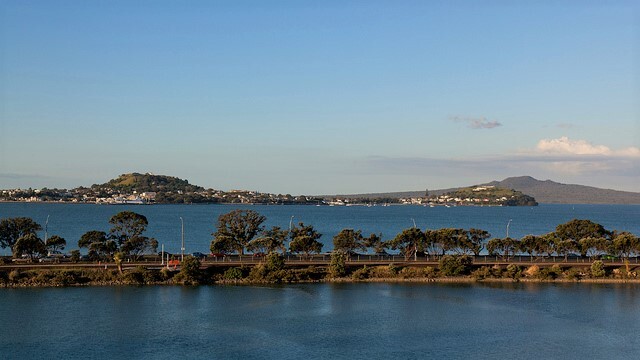 Either option is a perfect way to see Tamaki Drive, which connects the central city to Mission Bay and offers some seriously gorgeous views along the way. Just take care around the many walkers, joggers and roller-bladers who use the footpaths on weekends. Total cost: as little as $4 for an afternoon on a bike; much more for a scooter. Karangahape Road (or “K Rd” for short) is just a few minutes’ walk from the city campus. It’s lined with vintage and thrift stores where you can pick up cheap threads, used books, and other curios. Try Paper Bag Princess for 80s and 90s fashion; or Retro City Vintage & Collectibles for furniture & knick-knacks. There are lots of places to eat in between bouts of retail therapy; but for a truly unique dining experience, try Everybody Eats. They are a non-profit pop-up that takes over Gemmayze St restaurant in St Kevin’s Arcade every Monday night. Their volunteers rescue food that would otherwise be wasted, and create 3-course feasts. As a customer, you pay what you feel; whether that’s $0 or a big donation. Total cost: as much or as little as you want to spend. 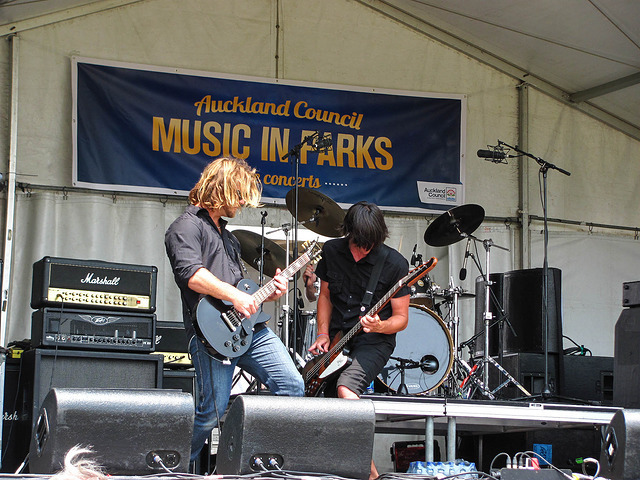 Every summer, Auckland Council puts on a popular Music in Parks series consisting of free gigs in Auckland’s most picturesque parks. The 2019 season includes a broad mix of opera, jazz, hip hop, folk, blues, world music, indie music, Kiwi anthems, and kids’ shows. There is truly something for everyone, and across all parts of the city. Total cost: $0. Auckland has lots of great cheeses and most shops will offer free tasters. You can set up a rather lavish cheese tour for yourself and your friends/family by jumping in the car and hitting up a few havarti hotspots. Start up North at Puhoi Valley, where the award-winning washed rind cheese is a thing of beauty. Then head south via The Cheese Room in Milford, where the owner will share his intimidating knowledge of New Zealand’s boutique cheeses. Back in the city, hit the Kapiti store on Shortland Street for a phenomenal (and very well-priced) cheese toastie made with aged cheddar and sourdough. Then drop by Sabato in Mt Eden, where the professional cheesemonger on staff will help you make a gouda choice on how to spend your limited cheddar. Total cost: petrol costs, plus $6 if you restrict yourself to just free samples and a cheese toastie. Auckland’s annual Lantern Festival will take place in the Auckland Domain from 14-17 February 2019. 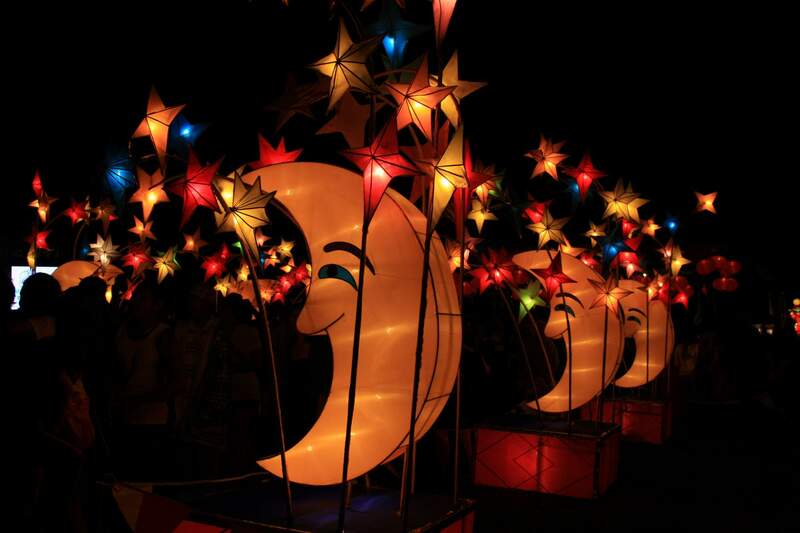 Go at night to see the lanterns beautifully lit. You’ll also find lots of food trucks, Chinese cultural performances, and sometimes fireworks displays. Be prepared for crowds though – this is a very popular event. Total cost: $0 (but bring some cash if you want dinner from the food trucks). New Zealand’s Royal Navy is based in Devonport, and military history buffs will find plenty to keep them occupied throughout the suburb. You can find a suggested walking tour here; or for a family-friendly short version, try exploring the tunnels at North Head. Before the arrival of European settlers, North Head was a Māori pā (defensive site). 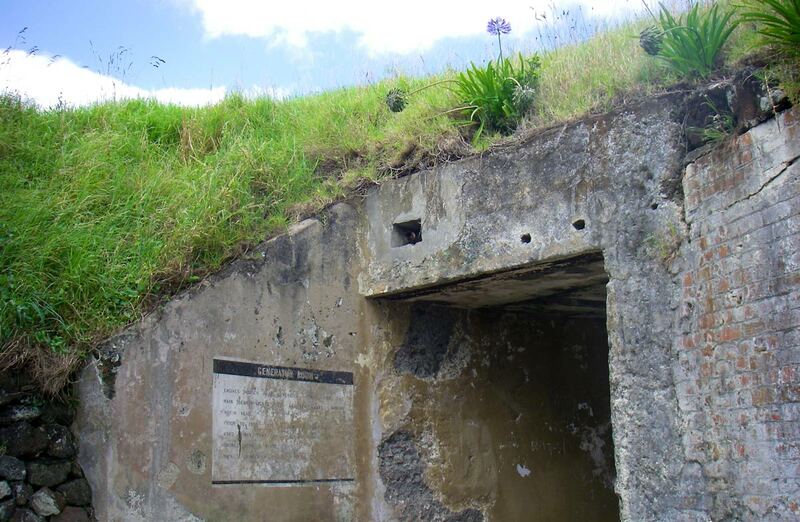 In 1885, a series of tunnels and gun emplacements were built; these were further developed during World Wars I and II. Nowadays, the tunnels are open to all. Total cost: $0. The Auckland Council Movies in Parks series is on again this summer. The 2019 selection includes recent releases like Ocean’s 8, Ant-Man and the Wasp, and Jurassic World: Fallen Kingdom. If you have young children, family options include Incredibles 2, Smallfoot, Peter Rabbit, Paddington 2, and Ferdinand. There are also some classic films on offer such as Grease and Back to the Future 2. Total cost: $0. 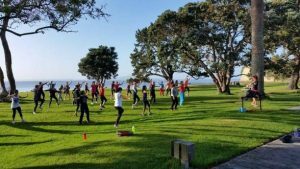 Lots of local Auckland organisations offer free outdoor workouts over summer. Running: TempoFit has a free running club for runners of all fitness levels. They meet on Sundays at 8am at a range of locations around Auckland. Boot camp: Boot It Fitness runs free classes on Saturdays, again at a bunch of locations. Dance: There are free community ‘Shake My Booty’ classes at Browns Bay beach at 9am on Sunday 9 Dec and Sunday 16 December, courtesy of the East Coast Bays Community Project. 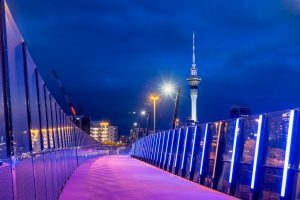 There are also lots of fitness-oriented Meetup groups around Auckland for those who like a side of socialising with their workout. Total cost: generally $0. Have a great (and budget-friendly) summer everybody!